Happy Sunday everyone! Today I have some time to relax after a hectic few weeks and I thought I should catch up with some blogging! 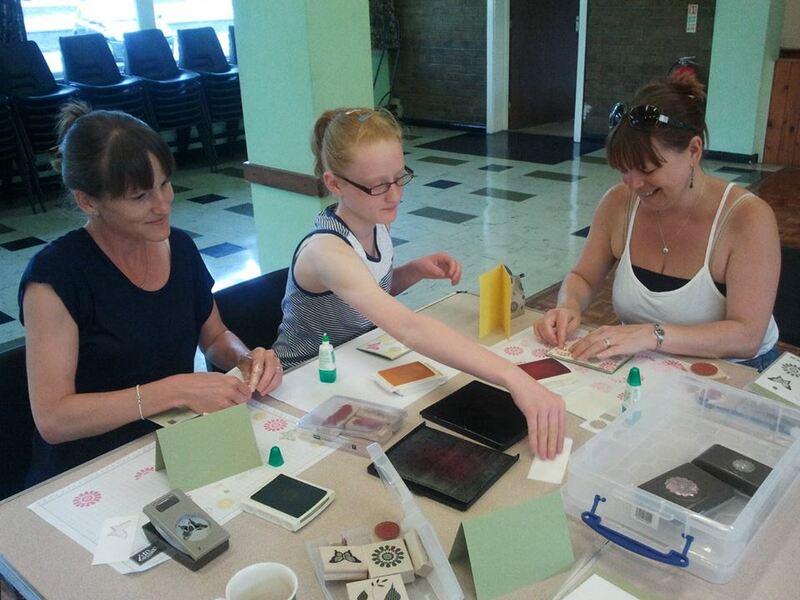 Yesterday we had a fantastic crafty afternoon at our Summer Papercraft Class. 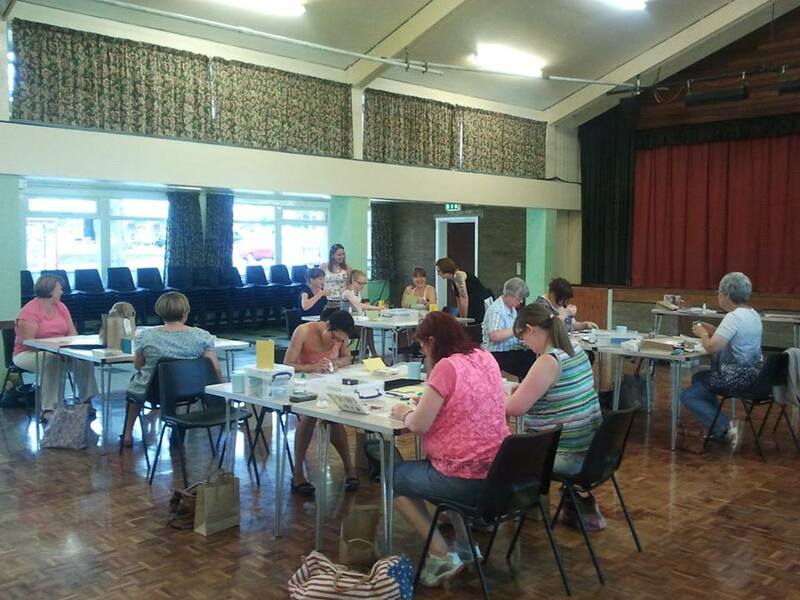 Fiona Cullen and I taught 14 lovely ladies how to make 3 cards and a gift box using their very own set of stamps - Polka Dot Pieces - a brand new set in the Annual Catalogue. I think this one is going to be really popular - it's got flowers, butterflies and birds all in one set and a cute sentiment too! With it being so new, there isn't a lot of photos online yet of cards and projects made with this stamp set. So my usual source of ideas and inspiration for my class projects was quite limited. But the stamps are really easy to work with, especially using the coordinating punches too, so it was fun coming up with a range of designs for the class projects. Here are the 4 projects we designed for the class. The first card used the bird. 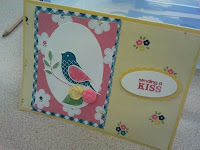 We coloured the stamp with markers and punched it out with the bird builder punch. The flowers are made from the Simply Pressed Clay and molds - we made these in advance of the class. The papers are the Gingam Garden Designer Series Papers. 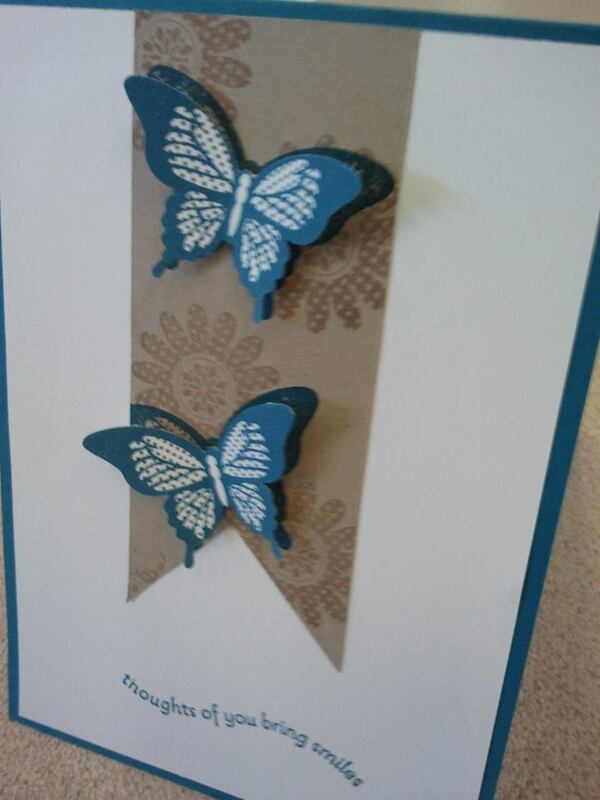 The second card was a simple one with butterflies and the sentiment from the set. The third card was an explosion of flowers and a sentiment from perfectly penned in the centre! 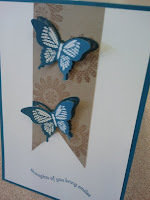 Finally a simple 2-4-6-8 gift box decorated with butterflies. 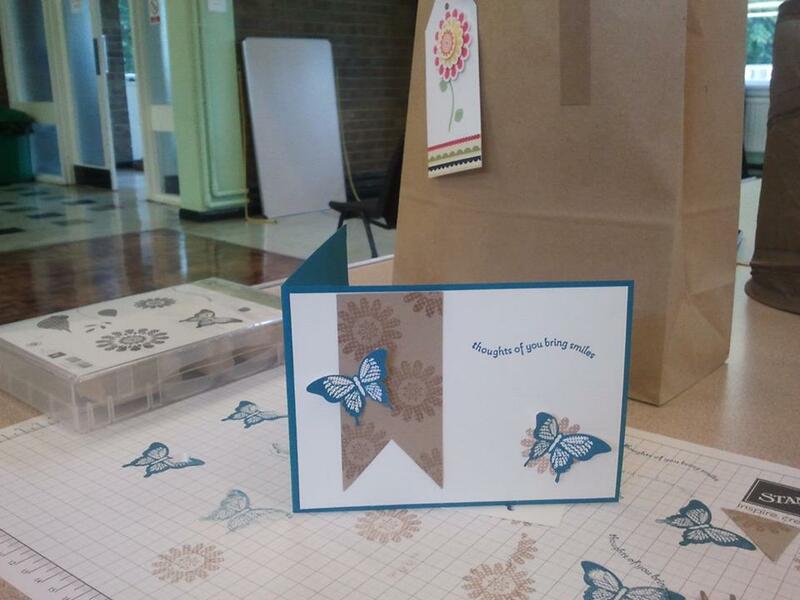 We even decorated the bag and treat using the same stamp set to give everyone more ideas for how they can use the stamps to make more projects at home. 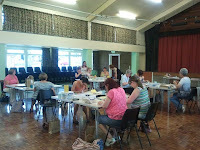 This was Fiona's first class since becoming a demonstrator in my team in May. She did brilliantly and everyone enjoyed their afternoon of crafting so no doubt there will be more!